I grew up with a ridiculously gorgeous national park a very short distance away from home. I have a lot of memories spending time in Pukaskwa: swimming in what seemed like gigantic waves, hiking in ethereal boreal forests pressing into a temperamental inland sea, camping, kayaking trips down the coast and the list goes on and on. Believe me, I realize how incredibly fortunate I was to have grown up near this protected environment. On my last visit home I had a lot of free time and gorgeous weather. I took both my time and blessing of good weather as a sign that I needed to do something new and exciting, something I had planned to do for years but never got around to doing. 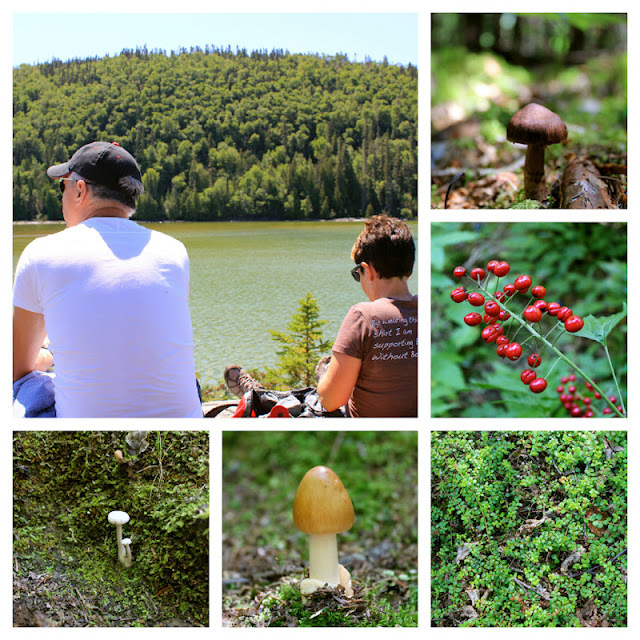 My parents and I hiked on the Pukaskwa Coastal Trail, from the visitor's centre to the White River suspension bridge and back. 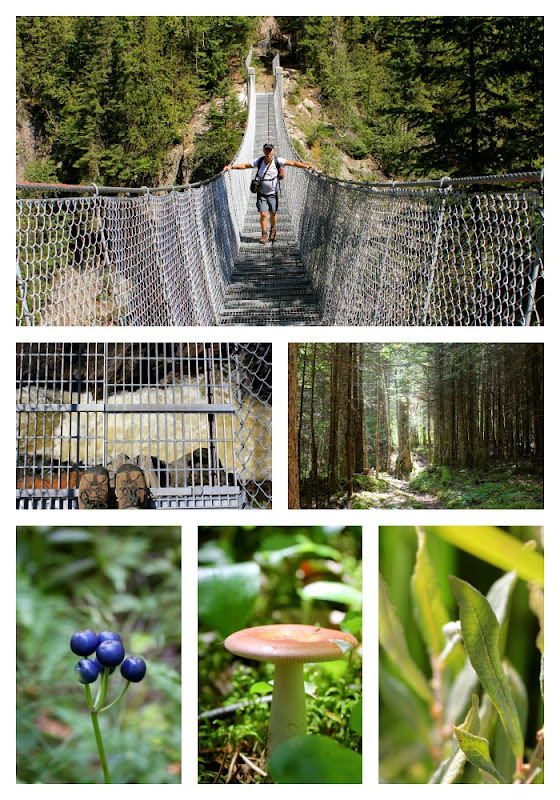 This challenging 16 kilometre undertaking is listed on the park's website as "not for the faint of heart" and I would also add not for the weak in spirit. The trail takes about 6 hours to complete and plenty of snacks and water. If you've packed a beer for the trip, you'll soon realize you have neither the will to carry it nor the body hydration to stomach it, this trail is for serious hikers only (or insane joggers out to twist their ankles, but that's another story). While the trail is challenging, the most important aspect is that it is gorgeous and the scenery and ecosystems you walk through are varied. There were tons of interesting things to look at, as usual I was particularly obsessed with finding and photographing every mushroom in my path. There are several lovely boardwalks that allow you to traverse rivers and some of the muddier areas but there aren't a ton of stairs to help you out on the steep climbs. 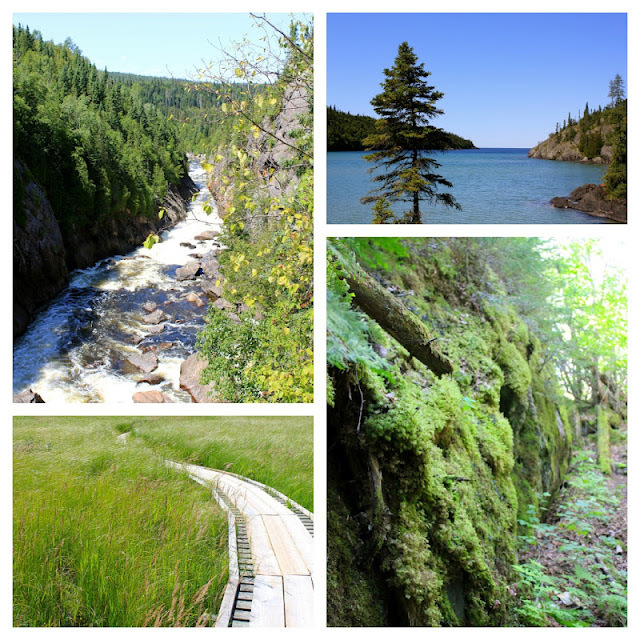 I mention this because Pukaskwa has many beautiful hiking trails that are far easier and more accessible with stairs for some of the more challenging inclines. Once you arrive at the White River, which is not a misnomer, you have the opportunity to cross the newly constructed suspension bridge that hangs 23 metres above the raging river below. This becomes an excellent opportunity to test your fear of heights and your trust in civil engineers. Let's just say I'm grateful that I waited long enough to do the trail so that I didn't have to cross the old bridge that was made of ropes and wood and could have been in a movie where the hero runs across it just as the final strand of rope gives out. While the hike to the bridge and back isn't an easy one, it is entirely worth it. I would do it again in a heartbeat and I fully intend to spend a little more time exploring other parts of the Pukaskwa coastal hiking trail on my next summer visit. I'd also like to add that my mom (who is a marathon runner) did this trail when her knees were sore and she made it the whole way because she is such a trooper. She also informed me that the whole hike is "a lot harder than a marathon" mostly because of the tough climbing up and down but also because there are a lot fewer people standing around to cheer you on. I'm glad that she and my dad put aside their training (my mom's running training and my dad's ironman training) to spend a whole day hiking with me. I love them so much and I'm glad they passed their adventurous attitudes on to me. Nicely written Robin. We are ready for the next hike. Parks Canada needs you! The photos, of course, are beautiful and inspiring.